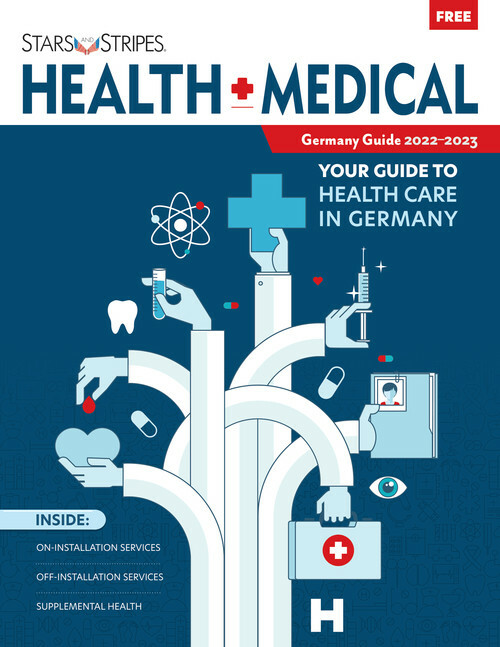 Whether this is your first time stationed in a new country, or you’re a PCS-ing pro, navigating the German healthcare system can be overwhelming. 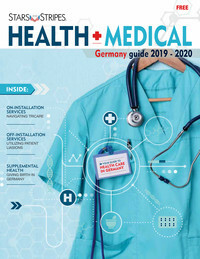 Fortunately, there are programs and services to help guide you through setting up your primary care physician, going to the dentist, seeing a specialist or translating that foreign language medical form you’ve been trying to figure out. The Stripes Health and Medical Guide will help you get started on the who, what, when and where to find the help you need. 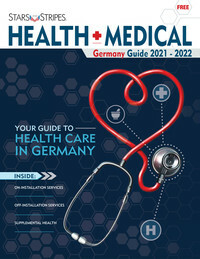 From setting up your TriCare overseas to understanding the differences you might run into during your doctors visit, and even how to keep your pet’s health up to par, you’ll find this guide useful for many of your medical needs in Germany. The directory in the back of the guide will help you keep all of the doctors and services you’ll need at your fingertips. 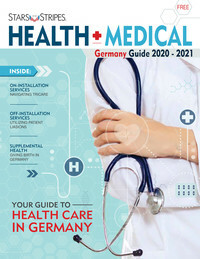 Let the Stripes Health and Medical Guide help ease you through the necessity of taking care of your health so that you can enjoy your new adventure in Germany!